CULLMAN – Two Cullman County inmates who escaped while on work release duty Wednesday have been captured, according to the Cullman County Sheriff's Office (CCSO). "The two inmates have been located and arrested in Illinois and will be brought back to Cullman," said a spokesman for the CCSO Thursday morning. The pair of work release inmates, John Patrick Parsons and Justin Eugene Curington, allegedly stole a vehicle near the Shell Station on U.S. Highway 31 South Wednesday morning. 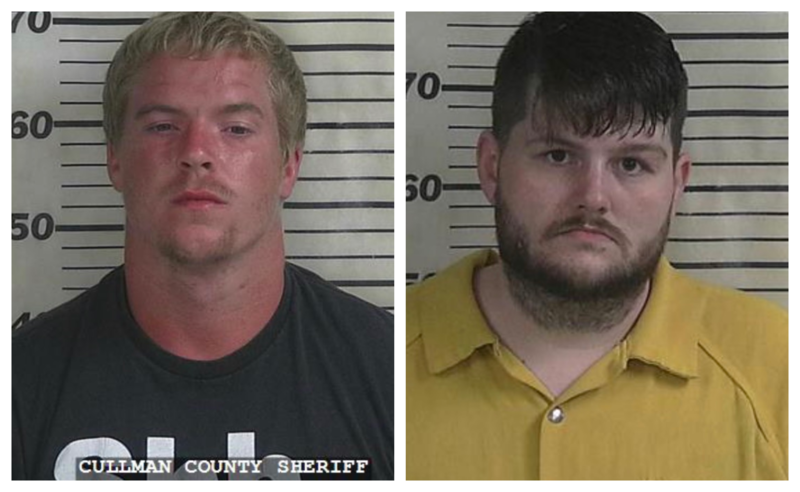 According to the Cullman County Sheriff's Office, the inmates were assigned to the City of Cullman picking up trash when they escaped. The inmates left driving a white 1992 Oldsmobile 88 Royale. Cullman Police Chief Kenny Culpepper said the two men were assigned to the City of Cullman Sanitation Department. He said that while at the convenience store, the inmates jumped into the car, which had the keys inside, and took off. Curington, who was in jail for probation violations, is now facing an additional charge of first-degree escape. Parsons was in jail for several misdemeanors, including giving a false name to law enforcement. He is now facing a charge of second-degree escape. Both men will also be facing charges in the theft of the vehicle.